A project "Development of technical solutions and methods for the production of small (super-small) spacecrafts for the radiation monitoring of the near-Earth space and space systems on their base" is started. This project has won the tender of the Ministry of eduction and science. SINP MSU develop it in cooperation with JSC "R&D Institute of Electromechanics" (NIIEM) and industrial partner JSC "VNIIEM corporation". The onboard equipment of the spacecrafts operated on the near-Earth orbits is affected by radiation, first of all, by electrons and protons, captured by the Earth's magnetic field, and high-energy particles produced by powerful solar flares. Current stationary models of the Earth's radiation belts do not take into account significant long-term variations of the particles fluxes. Measurements of the radaition fluxes onboard different scientific spacecrafts are also insufficient for the real-time evaluation of the current radiation danger for a number of orbits. 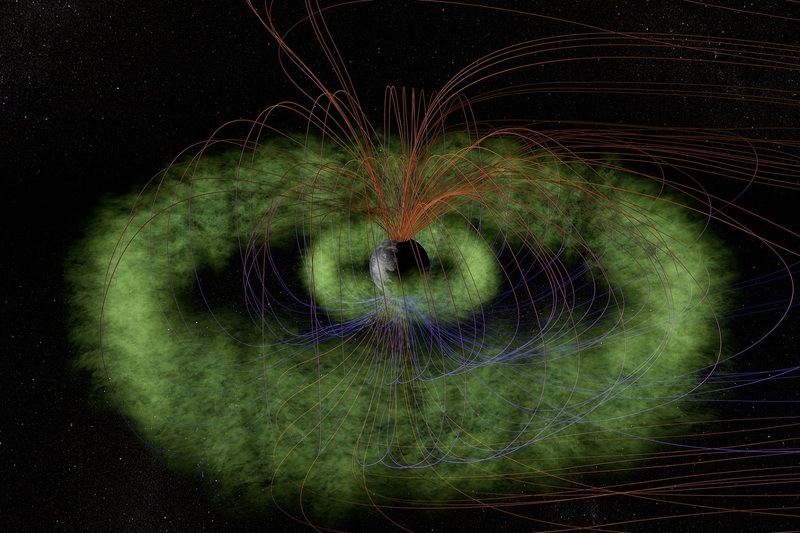 "We plan to solve this problem by development of a specialized group of spacecrafts on the blue-ribbon orbits with a set of charged particles detectors onboard, which will provide a possibility for real-time calculations of the the particles fluxes in the whole area of the radiation belts. Consequently we'll get this possibility for violent near-Earth orbits, surely, within some limits," - Mikhail Podzolko (SINP scientist) explained. It is planned to use small spacecrafts with mass under 100 kg. The data obtained by them should be transferred to the Earth by means of the satellite data braodcasting systems in the near real-time mode. The results of the monitoring for different orbits will be presented on the SINP web-page. The obtained data will be also used for the further studies of the Earth's magnetosphere. Currently the first stage of the reasearch and development studies on this project is finished. Different variants of the satellite group orbits, scientific equipment (detectors) and its arrangement onboard the spacecrafts and preliminary technical characteristics of the spacecrafts were analyzed.